The mission of the Servants of Mary is to manifest God's compassionate presence in the spirit of Mary. We respond to the words of Jesus: "Be compassionate as your God is compassionate." We do so by following the example of Jesus, under the guidance of Mary. The Order of Servants of Mary (Servites) was founded in 1233 by seven Florentine nobles and business men who went to Monte Senario, outside of Florence, Italy to live lives of prayer, community and service dedicated to Mary, Mother of Sorrows. The Order is now worldwide and composed of many different autonomous congregations (smaller groupings) of priests, brothers, sisters, active and contemplative, third order members and associate members. Each congregation follows its own constitution (rule of life) but all share the same Servite spirituality. Our particular congregation, the Servants of Mary of London/Cuves, led by a Prioress General and her Council, is comprised of three provinces of vowed women religious: American (US), English and Franco/Belgian/Canadian/Congolese. Part of the congregation are vowed Sisters in Jamaica and Austria. In addition, each province has a lay Associate Program.  The American Province of Servants of Mary, under the leadership of a Prioress Provincial and Council, has its Motherhouse (headquarters) at Our Lady of Sorrows Convent in Omaha, NE. The leadership team is responsible for overseeing the spiritual, community, and ministerial needs of the Sisters and Associates. Our heritage is directly linked to Marie Guyot, a leader of a small group of teachers who came together in 1842 to educate girls in a small school in Cuves, France. (three hours east of Paris) Three of these women became a small religious community (Sisters of Calvary). This group grew to about twenty. Marie Guyot died in 1849. In 1852, the Sisters moved to England where they served as missionaries, working with and teaching the very poor. Here they established a strong foundation under the leadership of Sister Philomena Juliana Morel. In England they became known as the Sisters of Compassion. In 1864, the Sisters joined the Servite Order, with whom they felt a closeness of spirituality. At that time, the Sisters took their present name, the Servants of Mary of London/Cuves. Early Servite Sisters brought their mission of compassionate service to the United States in 1871. They established a firm foundation in the States in 1892 at St. Matthew's Parish in Mount Vernon, Indiana. The Sisters continued to move westward, establishing foundations in Illinois and Iowa. In 1918, Servite Sisters came to staff the schools in the newly established Holy Name Parish in Omaha, Nebraska. In 1925, the Sisters transferred their Motherhouse and Novitiate from Cherokee, Iowa, to the more centrally located Omaha, Nebraska. As the community grew, the Sisters were asked to staff schools and ministries across the U.S. In 1954/55 a new addition was added to the Motherhouse. Marian High School, a school for young women dedicated to Mary, was built at this time. The Servants of Mary continue to pass on the values, history and traditions through sponsorship of Marian and the variety of ministries in which we serve.